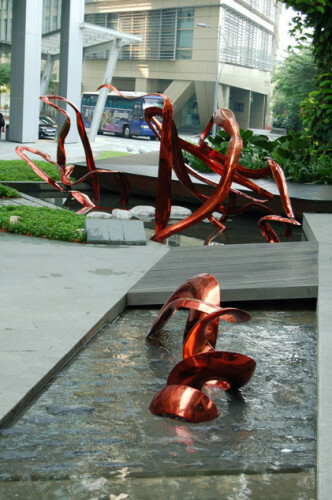 SARS Inhibited (2006) is a bronze sculpture that stands in the central plaza of the science city Biopolis, Singapore. 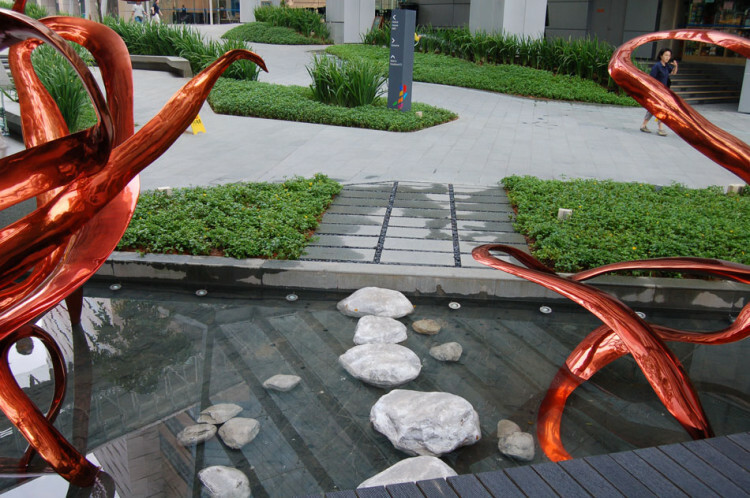 SARS Inhibited (2006) is a bronze sculpture that stands in the central plaza of the science city Biopolis, Singapore. 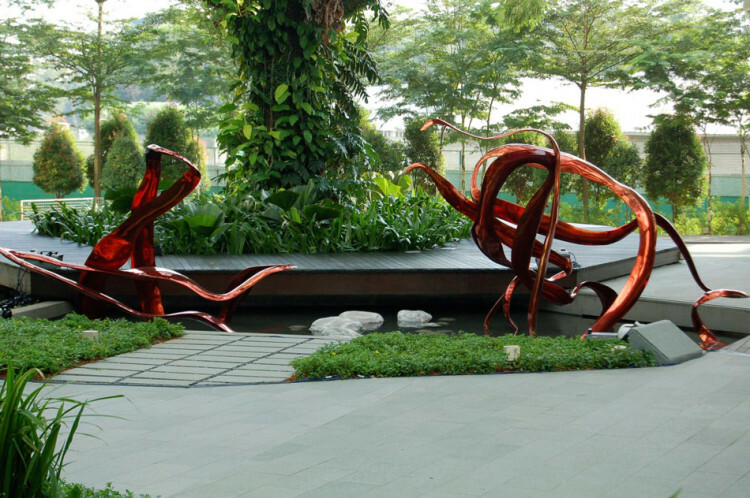 Biopolis conducted an international completion to select a sculptor to create an installation that captures the practical application of their work. 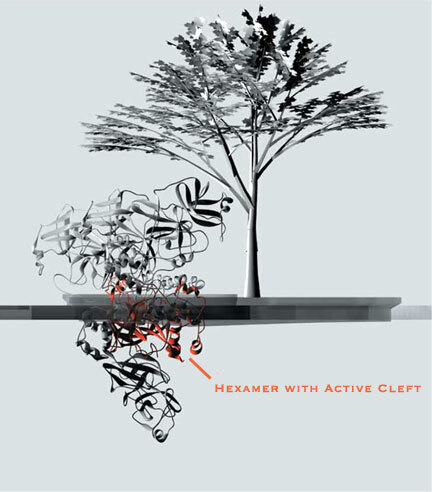 After interviewing the Biopolis scientists, Mara proposed the winning design, a sculpture depicting the active site of the SARS protease. She chose the SARS protease because Biopolis scientists are proud of their contributions to developing drug candidates to treat SARS. The drugs were discovered based on the structure of the SARS protease. 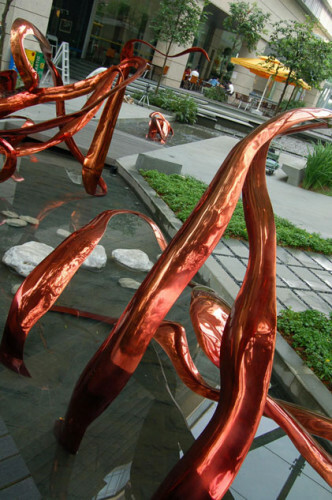 The sculpture accurately depicts the three dimensional polypeptide backbone of the active site of the SARS protease. SARS Inhibited is itself a beautiful work of art, adding a flash of color to the plaza. 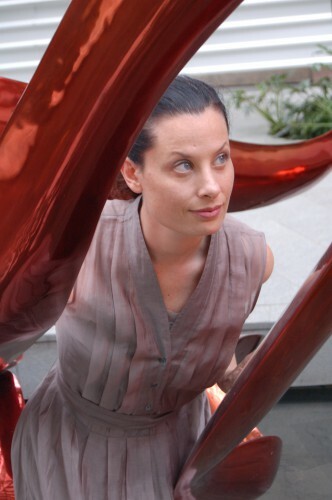 The sculpture sits in a reflecting pool. Between the two open arms is a small bridge paved with stones in the form of the inhibitor. Visitors who tread the path themselves become the cure for SARS.